Heat oven to 350°F. Generously spray 36 mini muffin cups with cooking spray. Shape dough into 36 (about 1-inch) balls. 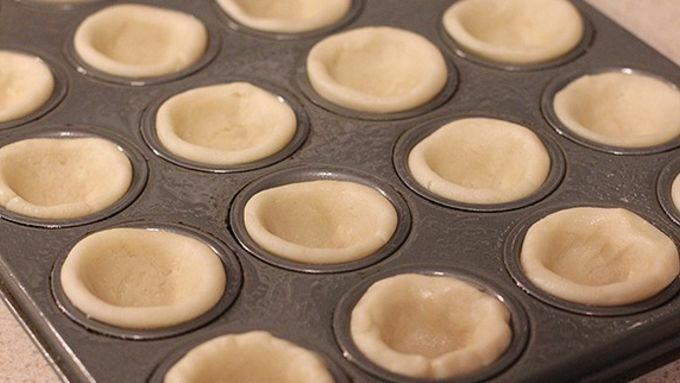 Place ball in each mini muffin cup; press in bottom and up sides. Bake 8 to 12 minutes, or until edges are golden brown. Remove from oven. 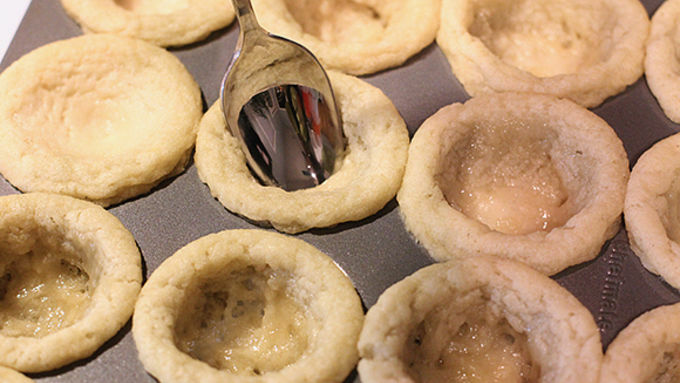 Immediately use back of rounded measuring teaspoon to make indentation in center of each cup, if necessary. In small microwavable bowl, microwave caramel dip 30 to 60 seconds or until softened. Spoon about 1 teaspoon chocolate chips in bottom of each cookie cup; top with about 1 teaspoon caramel dip. Sprinkle each cup with pecans. Let cool 30 minutes. Carefully remove from muffin cups using tip of pointed knife. 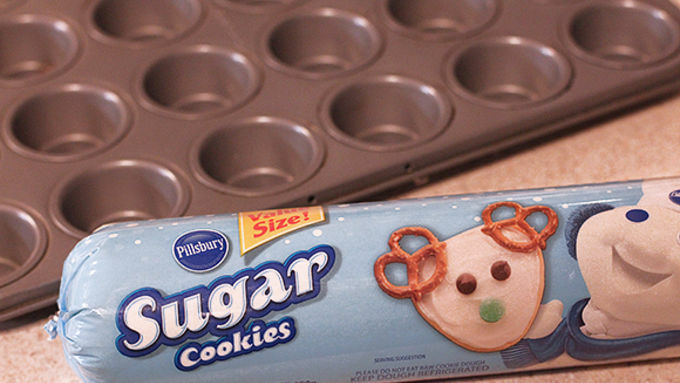 Our family has always been a big fan of the holiday baking season. We start with a pumpkin pie (or this year, we tried a pumpkin cheesecake) every Thanksgiving. And then from there on out, it’s cookies, scones, bars, cupcakes and anything else you can dream until we see one another again for Christmas. I think it’s safe to say that we all have some sort of shared sweet tooth gene! So this Thanksgiving weekend, I decided to kick off our holiday baking season with these Easy Turtle Tassies! We had spent the day out walking all over freezing Chicago. So the idea of standing on our feet for another hour or two in the kitchen didn’t sound too appealing. But thankfully these easy little treats can be made in no time! And they go even FASTER when you have help. My mom made the little cookie dough cups, I toasted the pecans and warmed the caramel, and then we assembled them together in a snap. So easy, and everyone couldn’t WAIT to give them a try. So rich and tasty! These will be making a second appearance soon. Serve immediately, or cover and store for up to 1 week. Can't get enough of that rich, golden caramel flavor? 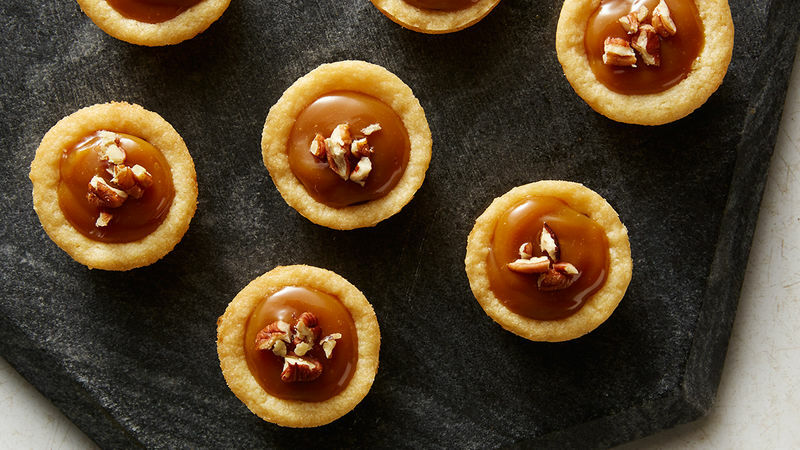 We've got all the caramel treats you'll need this holiday season.